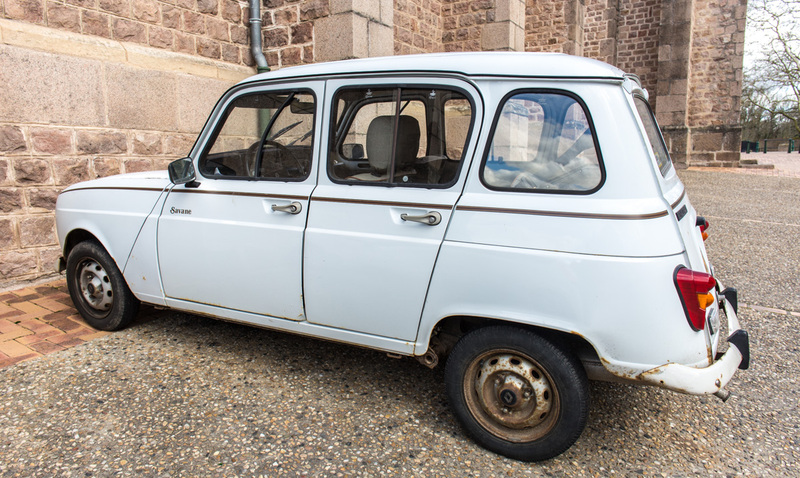 This is the ubiquitous Renault 4, also known as the 4L, the second best-selling passenger car of all time in France, produced between 1961 and 1992 (the all-time best-selling French car is the Peugeot 206, one of which we own). This model is the Savane, which was made starting in 1986. We saw it parked outside the church of Notre Dame de l'Alliance Saint Jean Baptiste at Lapalisse, a pretty town we visited on our trip. This 4L Savane looks like it's in pretty good shape for a car that's at least 26 years old. I mentioned earlier in the week that I was having technical difficulties with photos. Well, the story is this (warning: boring technical stuff ahead): I take photos in RAW format and use Adobe Lightroom software to "develop" the images for export as JPG files. I do this for more control over how the JPG is made. Most digital cameras do the conversion automatically and invisibly and, in most cases, do a fine job. But they don't save the original RAW image. I like being nerdy about it and being able to adjust the photo myself before the conversion. Digital SLRs let you do that. When traveling, I don't have Lightroom available. I have a stand-alone desktop version of the software so I'm not on the Creative Cloud and don't have LR Mobile on my tablet (I should probably get with the program one of these days). My camera has an option to save each photo it takes as both a RAW file and a camera-produced JPG, but I forgot this on my first day out. Once I remembered, I changed the setting so that my photos would be saved in both formats. I could easily do some editing on the JPG versions in Photoshop, which we have on the portable laptop computer, and still have the original RAW images to play with when I got home (our laptop version of PS is old and doesn't read my newer camera's RAW files). I know there are other mobile solutions out there, but figuring those out while on a trip is no fun. So I skipped a day then used Photoshop to edit the JPG images you saw on Wednesday's, Thursday's, and Friday's blog posts. So there you have it. I've never taken that extra step of starting with RAW files. It sounds rewarding... although not always convenient. Friends of ours here just bought a new Peugeot. Imagine the Spanish pronunciation. I'll mention that I owned a 1973 Renault 4L in Paris back in 1981-82. I loved that car, even though the brakes were dodgy and there wasn't much room in it. Not a luxury vehicle, but fun to drive. I loved my old R4 too - it was from about 1969, I think, and had an occasional habit of losing all its electrics, fortunately never while on a busy road. But it was so easy to maintain (until the floorpan rusted away) and versatile as to fitting stuff in, with the relatively long wheelbase as well: I was in a rowing club then, and you could get boats on the roofrack, a lot of the bits and pieces and a couple of kids in the back as well (as long as you didn't try to get up too steep a hill, of course). I recently found out that Gimp could read and save my old KDC (Kodak 50 camera, 1996) photos that were otherwise unreadable without the Kodak obsolete and unsupported software (KPT?). Gimp can also read my older (1994) Quicktake (Apple) original photos, and that is some feat, the Apple software being even more obsolete and unsupported than Kodak's! 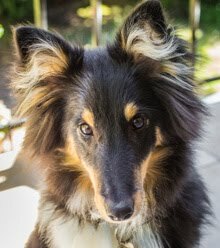 Gimp is free and might be of help to you in some cases and be able to read your raw photos and export them in a JPG format you can treat with PS. Fascinating vehicle - it is not like anything here in the SW desert. I'm unlikely to go all technical in picture-taking, but it's nice to know what can be done. What does RAW stand for? autolycus, Ken's in 1981 didn't even have seat cushions, just some fabric stretched across a bare frame, kind of like a hammock! chm, since my situation was temporary, I didn't really need any other software. The jpgs are fine and I could edit them in PS4. Now I'm back to LR. michael, they used them as race cars in the Paris-Dakar rally, through the Saharan desert! emm, I think RAW just means "raw," as in "raw unprocessed images." It doesn't stand for anything.